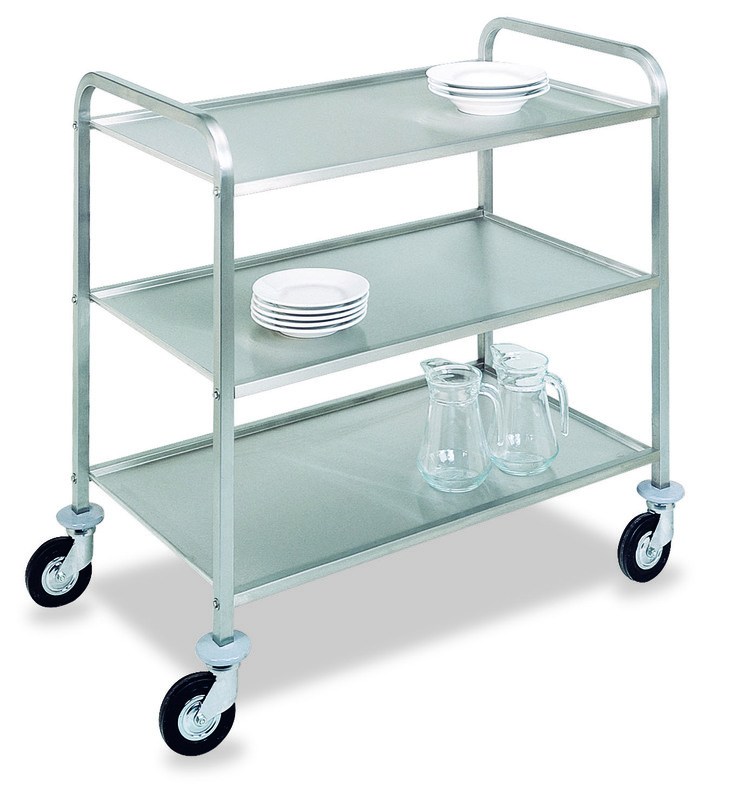 Service and table clearing trolleys with AISI 304 stainless steel structure with 2 or 3 noiseproof completely welded tiers for a higher payload. 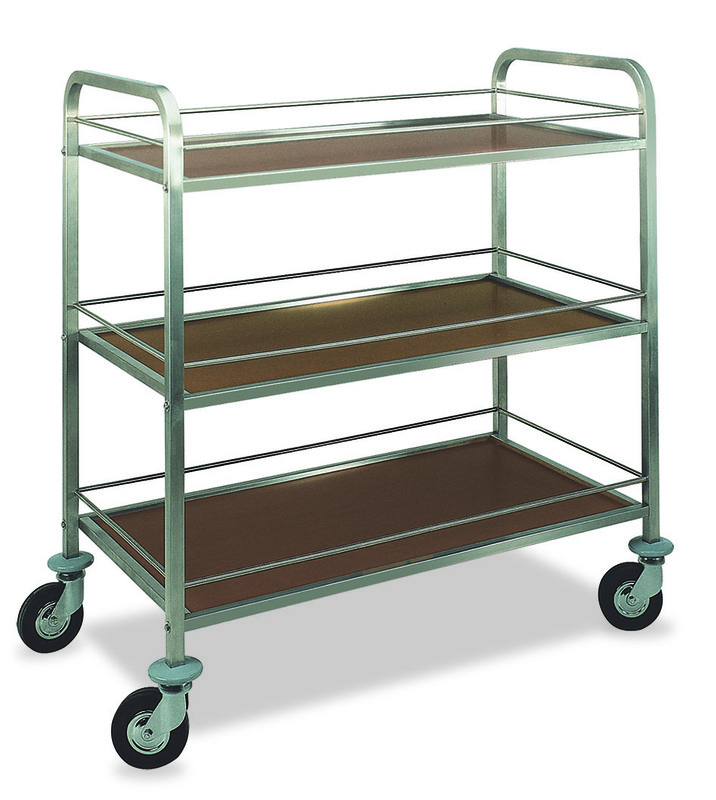 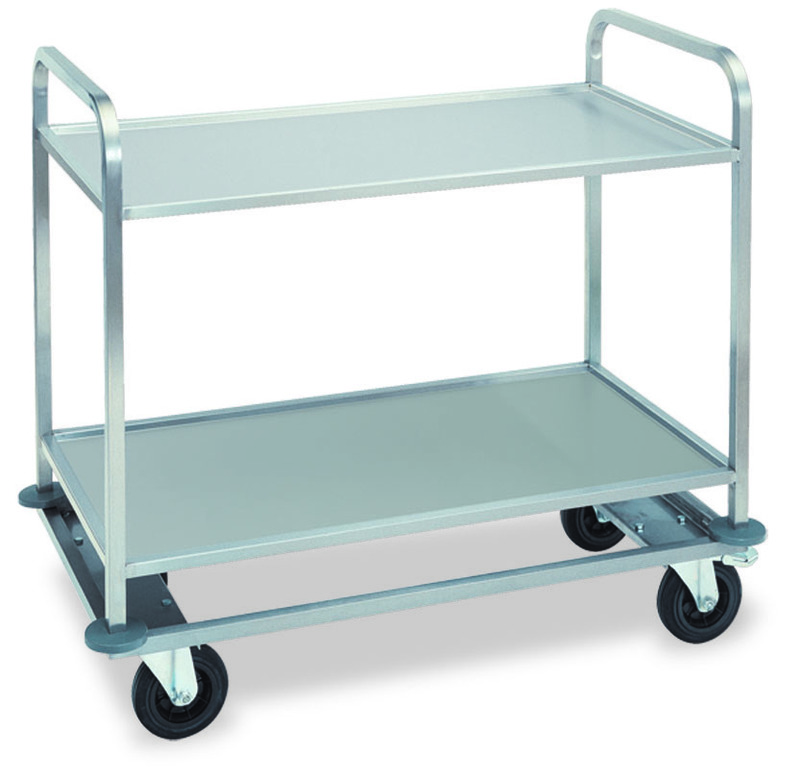 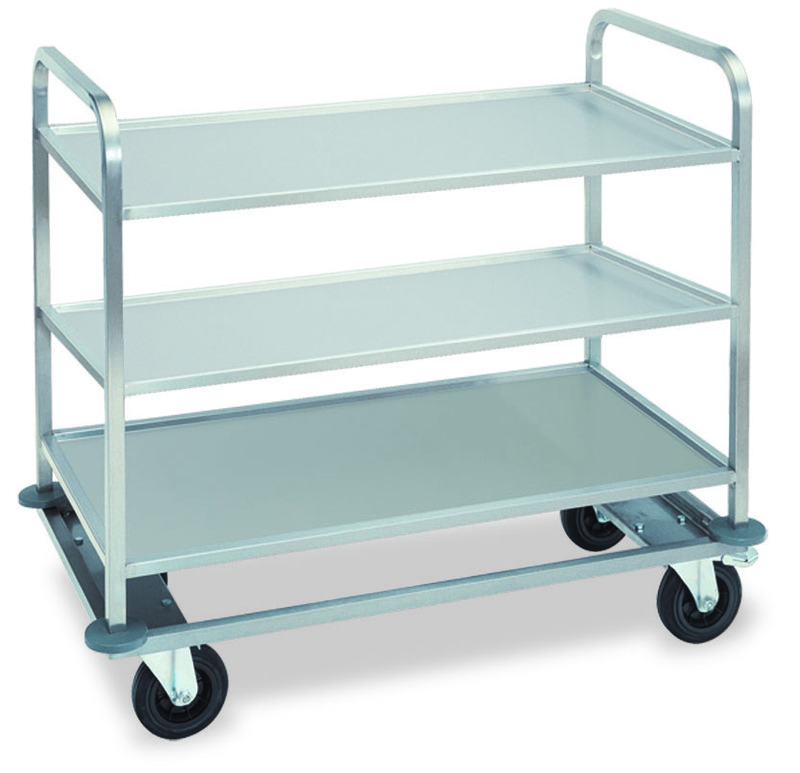 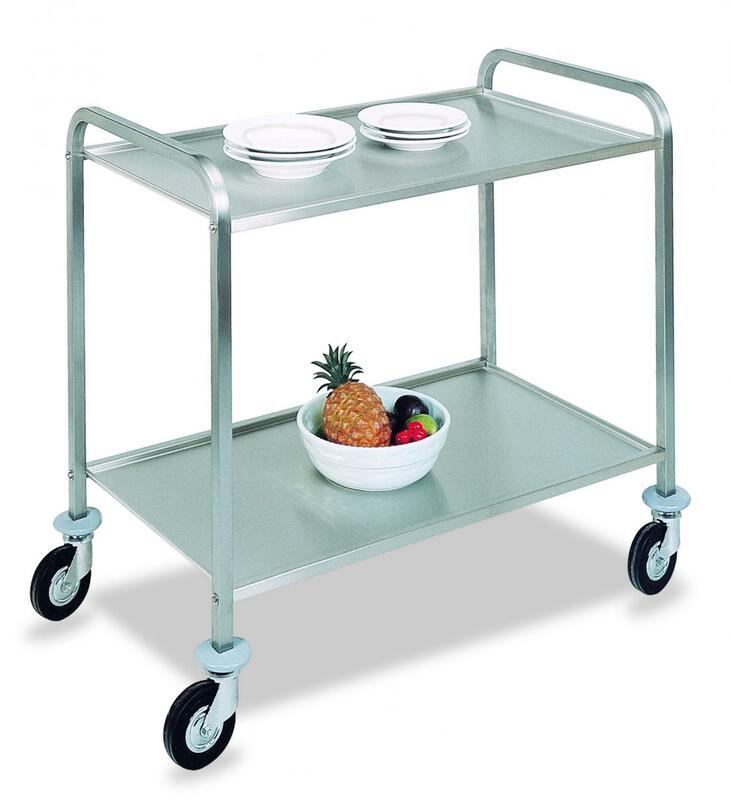 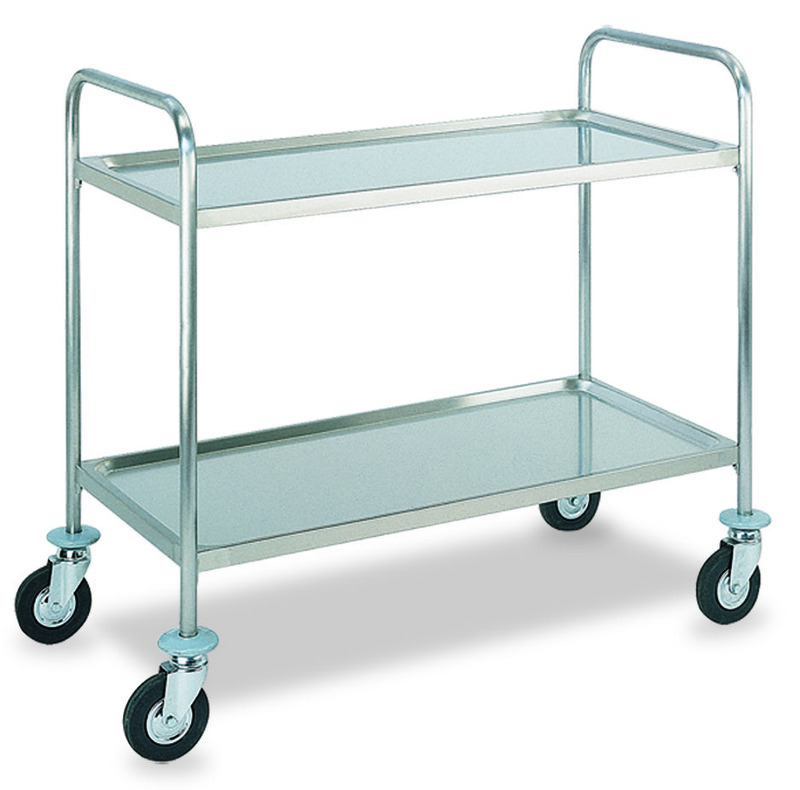 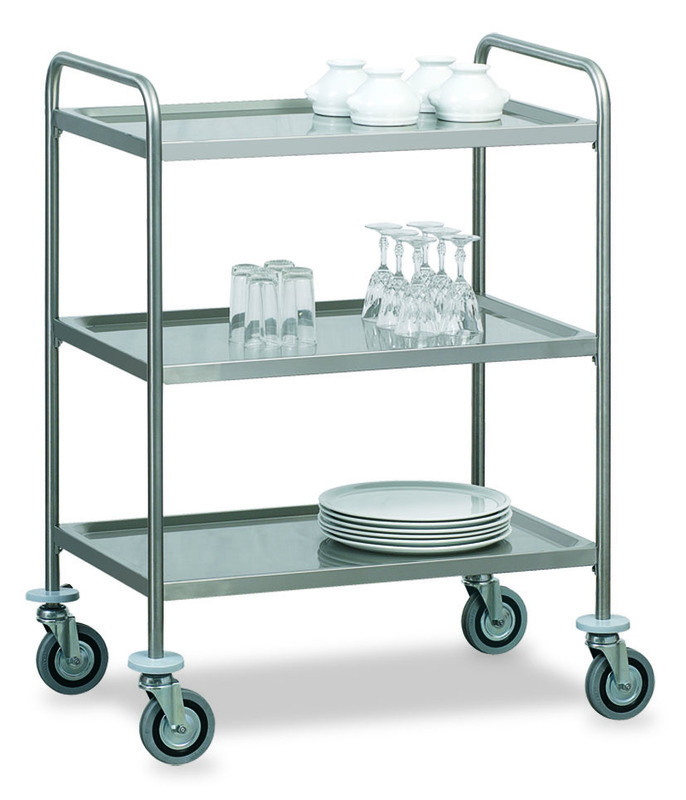 Service or table-clearing trolleys with AISI 304 stainless steel structure with 2 or 3 noiseproof tiers. 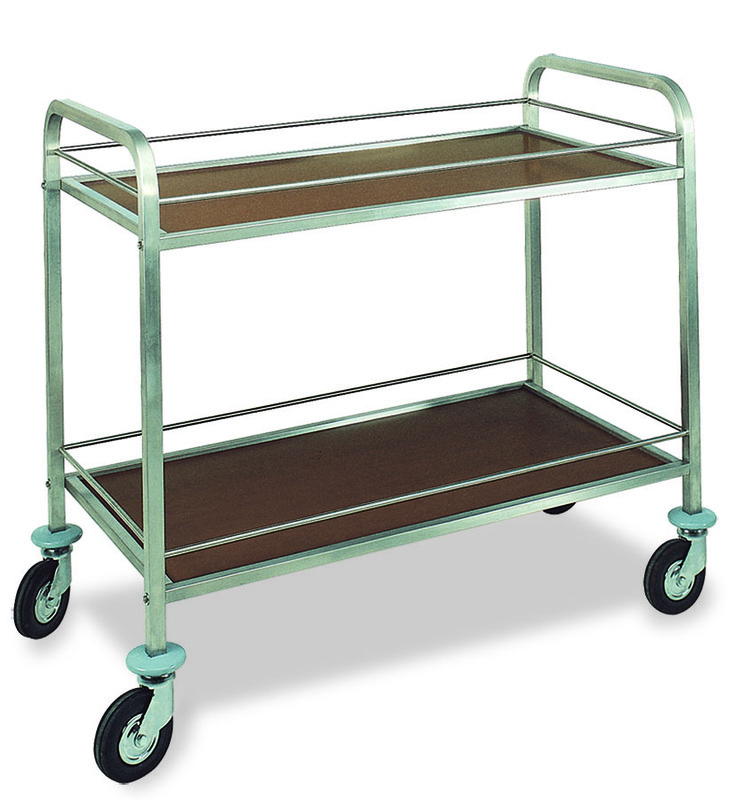 Serving and transport trolleys with 2 or 3 tiers with AISI 304 stainless steel structure and walnut laminated wood shelves.